1. If you do only one thing differently this year, make it a priority to always speak with your rental applicants’ previous and current landlords — before you sign the lease. There were far too many horror stories in the news throughout 2014, and in all years prior, to ignore the importance of checking out an applicant’s rental history. Vow to avoid becoming a victim in 2015. 2. Don’t wait until you have a vacancy to speak with other landlords. Join a local landlord association, or network with other landlords in your area. You’ll find the pertinent information — like local issues and rule changes — that you need to be a good landlord. 3. Get better at move-in and move-out condition reports. Property condition is at the center of most tenant disputes, and you can cut your cost simply by showing solid evidence of the “before” and “after” picture of the property. 4. Plan to return the full security deposit. If your goal in collecting a security deposit is to pay for damage, you’re missing the importance of carefully screening your tenants and managing the property. Offer to do an informal inspection a couple months before the end of the lease so that the tenant has advance warning of what needs to be done in order to receive the full deposit back. A security deposit is an effective incentive only if the tenant believes they will get it back. 5. Conduct regular inspections of your property. To accomplish this, you will have to respect your tenants’ privacy. That requires some planning, but the pay off is minimizing property damage, and a quicker turnaround if you do experience a bad tenancy. 6. Talk to your tenants regularly. Develop a path of communication, like a monthly email, or even a Facebook page where you convey important information. Tenants who receive reminders are more likely to pay rent on time and follow the rules. Regular communication like newsletters helps to develop a sense of community, and that can keep your best tenants happy. Even frequently-rotated, friendly signs or posters can make a difference. 7. 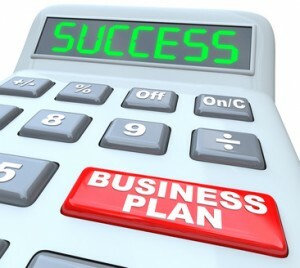 Develop a plan for long-term improvements. It’s easy to put off needed maintenance because a tenant stays on long-term. But keep in mind that rental investments pay off in two ways. The first is cash flow, which is rental income. The second is appreciation in the value of the property. That will not occur if the property deteriorates through neglect or undetected damage. Income loss can be minimized by making necessary repairs or updates routinely — and on your schedule. 8. Test the theory that responsible pet owners make responsible tenants. Learn to screen tenants with pets so you are not turning away some of your best prospects. A little planning can make a property both pet-friendly and damage resistant. 9. 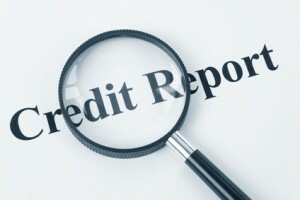 Understand the important of running credit checks. A credit report is not just a number or a pass/fail test; it is a measure of how a person handles his or her financial obligations. The credit report also can reveal dishonest answers on a rental application and save you the nightmare of renting to a tenant from hell. 10. Add safety features like carbon monoxide and smoke detectors, peephole covers, and ample exterior lighting. Safety is big with today’s renters, and these features make for more successful property tours. 11. Go online more often. Most apartment seekers will peruse online ad listings when looking for their next home. Don’t be left out. Look at competing rental ads and copy the features that appeal most to you. Also, monitor your online reputation. Your property may be listed on a ratings website. Are tenants, applicants or employees leaving negative comments? Chances are you can respond and save your reputation. 12. Survey tenants to see if they’d prefer to go smoke-free. 13. Look into electronic rent payment options. Many tenants prefer it. Many landlords have learned that automatic payments, electronic cheques and credit card payment options are key to getting on-time rent payment, which keeps cash flow healthy. 14. Drop the habit of looking for your “ideal” or “perfect” tenant, and focus on tenant qualifications. Preconceived notions about the type of person you are looking for not only give rise to costly discrimination claims, they hamper tenant screening, mainly because the “right” person gets a pass on credit checks, while the better applicant goes somewhere else. There are any number of applicants who can fit the bill. Don’t turn away perfectly good tenants because you have a different image in your mind. 15. Start making lists. Time management is a crucial skill that we can all benefit from. But there’s another benefit — keeping track creates a paper trail. Well-documented tenant files are a powerful tool when it comes winning disputes, and also will help in boosting the resale value of the property when the time comes.